As an agile coach with years of experience and much reading, I am refreshed to finally find something so unique and insightful on the topic of Scrum. Tobias has captured what Scrum is really like, from the trenches so to speak. In publishing this book, I feel Tobias was courageous enough to call out what others have been unable to see or just afraid to say in the wider scrum community. I am grateful not only for the insights, but for the public display of courage. You’ve read the Cohn series of scrum books. You’ve applied all the cookie cutter methods – story points, planning poker, modified Fibonacci sequence, Scrum of Scrums, burn down charts, team agreements, definition of ready, meta- scrum etc. etc. and something still doesn’t fit. If this is you, then you are likely to be ready for this book and possibly also ready to call yourself an agile anarchist. This is now my number one favourite book on Scrum. This is not a blog as much as a link to a blog that I have published over on the FAST Agile website which I maintain. I felt it had more to do with FAST specifically than agile in general so posted it over there. The short summary is - the book "Turn the Ship Around! A True Story of Turning Followers into Leaders" by L. David Marquet is the best book I have read on the essence of agility. I have recently been tweeting with the hashtag #SayNoToAgileCertification. So why would I, or anyone take such a view? 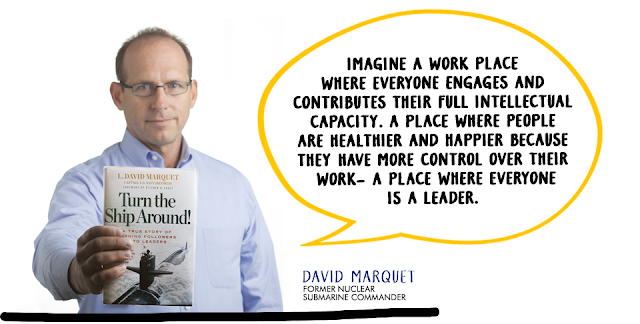 The seed of my renegade stance was planted by Bob Martin when I watched a video that was recorded at the Norwegian Developers conference in 2011 entitled "The Land That Scrum Forgot". The video actually reinforced a lot of unease that I had been feeling about agile and Scrum in particular. I was feeling that agile has been moving away from what was intended by the manifesto. I was excited to see that I was not alone in my feelings again when I read Tim Ottinger's blog on I Want Agile Back. Martin Fowler was blogging about Flaccid Scrum - a common pattern of how Scrum was being misapplied most of the time. I was beginning to be bold enough to publicly identify Scrum as more of a problem than a solution and combined with Martin's material, Scrum certification to be a root cause of Scrum's wide acceptance. 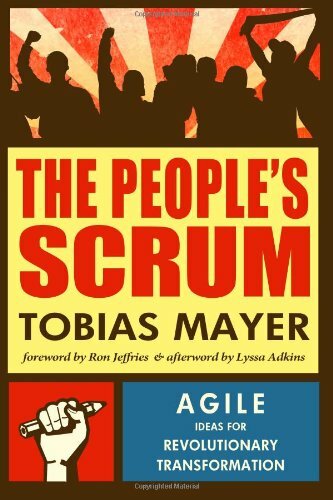 Then my mind was made up to finally take a stance when I read Tobias Mayer's book "The People's Scrum". In the introduction he talks of his split from the Scrum Alliance as a CST due to disillusionment with Scrum certification - "I always struggled with the idea of certification. It seemed to hark back to exactly what we wanted to escape from: a hierarchical, check-box model of management". Scrum Certification was a large contributor of why Scrum became so widely accepted. Project Managers wanted a piece of the agile pie and they were used to having certification to prove their worth in the market. People want something on their resume/CV to show that they are "agile" in today's market and sitting a 2-5 day class is a low hanging fruit as it comes with little to no work for the return of putting letters after your name on LinkedIn. The widespread acceptance of Flaccid Scrum was the beginning of the end (and is what most people know agile as today). Whilst Scrum brought Agile to the masses (the best thing), I feel it is a flawed framework because it is so easily misapplied and has left the masses with a poor understanding of what Agile should be like (and hence, the worst thing). We now live in the era of Flaccid Agile. #TakeBackAgile and #SayNoToAgileCertifications are positions that I am standing behind in the fight to stop the agile rot. Putting letters after your name used to be an indicator that you were a recognized professional by means of an examining body and rigorous testing. To pass those examinations meant study and learning - for more than 2-5 days! Now understand - I have no problem with handing someone a certificate to say that they sat your course. That is good! But to certify someone as an expert just because they sat your class is very different to certifying that they sat your class. Anyone can sit a class, but not everyone can be an expert. And therein lies the key differentiation and why I dislike (most of) the agile certifications. I have no problem with the content of any of the agile classes I have seen. But calling yourself a Certified because you sat a class is a mockery to any industry. Why has it become so pervasive in Agile? It just adds to the Fall From Agile Grace in my opinion. Even though some of the agile certifications do require more than just falling off a log, I still question their value and benefit to your career e.g. CSP and CSC. The one certification that I feel is of value however is certifying instructors. This has value by way of ensuring that a message does not become diluted and granting a certification status to individuals only after they have proven that they are capable of delivering training and not diluting or changing the message. My association with a new Agile Methodology called FAST Agile has nothing to do with my stance on Saying No To Agile Certification. But as a founder of FAST, it has however impacted my resolve on FAST and certification. There will never be any Certified Fast (other than maybe trainer) nor will there ever be a FAST Alliance. We have the Agile Alliance and that is enough. FAST is behind the Agile Alliance 100% and sees no need for creating alliances around specific frameworks and splintering the industry. There may one day be certified instructors and perhaps even certified FAST organizations but I'm (not) sorry to say Project Managers - you ain't gonna get no certification from FAST. You become a FAST professional by doing it. Period. I created FAST because I wanted to fix agile and not just moan about how broken it has become. That includes the certifications and Alliances nonsense. I have a dream. Join me. Become an agile activist and take a stance. Let's stop the rot and #TakeBackAgile. Recently I was asked to participate on a panel organized by Electric Cloud to discuss Continuous Integration (CI). So I spent a day doing some reading and researching to polish up on my knowledge around the topic. Most teams I have worked with feel that because they have a CI server (e.g. Jenkins), then they are "doing CI". But I feel that this is not necessarily true and is only part of what CI is. In fact Automated Continuous Integration software did not exist when the CI practice first came to light so it can't be what CI is. Which raises the question, what is it? An understanding of the history of CI will be important to understand why I am going to recommend that new teams learn CI without a CI server initially. Note to users of Git – when you read commit or check in anywhere in this article, think Push. 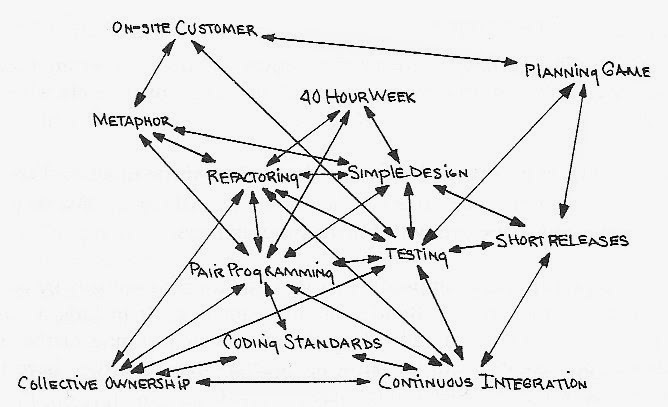 Extreme Programming (XP) adopted the practice of Continuous Integration as one of the twelve core practices and brought it to the mainstream agile community. While CI is not part of Scrum, many Scrum teams have chosen to adopt CI as a best practice. Kent Beck describes the word extreme in Extreme Programming to mean that he took common sense principles and development practices to extreme levels. In this way, when talking about integration testing - “If integration testing is important, then we’ll integrate and test several times a day (continuous integration)” – Kent Beck. The What of Continuous Integration? Continuous integration is the process of merging all developer working copies with a shared mainline several times a day. The “several times a day” point is important as this was the evolutionary step away from a nightly build (which was the most common practice at the time). "Mainline" is another important word to note. I'll talk more about that below in the section "Trunk not Branch". All of the XP practices are there to enable refactoring. Refactoring is the core practice needed to architect a system with changing requirements. Note that there is still no mention of CI servers or Automated Continuous Integration software yet. The technology did not exist when XP was born. This is an important point that has been lost to the masses who feel that CI is about having a CI server. I’ll talk more about where the CI server fits in later. Before CI it was common to run a nightly build. You would come in the morning to see if the build passed. That meant that your feedback loop might be as long as 24 hours! That is a big hit in a one or two week iteration (or Sprint for the scrum people). So it was important to integrate more often. We want to find out within a couple of hours if integration is going to work rather than a day. We want to find out within hours if there are architectural or design issues among the team, rather than a day or days. Days is not uncommon on teams that use Git and choose to work on separate feature or story branches and only merge them once the entire story is complete. This pattern can also cause "merge hell". Read on. The more and longer you leave your code un-merged from the main branch, the harder and more time it can take to merge and resolve collisions. This becomes particularly apparent once a team adopts the XP practice of Merciless Refactoring. Within the scope a single task, the changes made to the codebase are not limited to the minimum amount to complete the task (a pattern seen in Scrum teams that do not adopt merciless refactoring), so can be numerous and might cover a broad swathe of application and test code. The mantra that I was taught when learning XP was to “Commit early, commit often”. This, I feel, is the first aspect of CI that a team needs to learn! These benefits will become apparent in the Learning Continuous Integration section below under the headings with these same titles. Once a team begins to refactor mercilessly, you will find yourself in merge hell more often than not unless you integrate with each others code frequently. If you have an agile code base (to support an agile project i.e. one where the requirements are changing) - you should be refactoring mercilessly. If you don't, you will be incurring technical debt and end up with a legacy system. I have written a blog on the topic of Iterating Toward Legacy which describes this in more depth. Note - We will assume that you have source control already set up and the team are proficient in it's use. Create scripts to build your code and have them committed to source control. This will often involve learning to use a build tool such as maven, gradle, grunt etc. Technically, you can still do CI without a scripted build but this is rare and so I will not cover it. The build scripts need to include running a test suite and failing the build should any tests fail. For more information on build automation see James Shore’s website on automated build or his book The Art of Agile. You can see an example script here. This practice is a refinement on the automated build. Because we must run a complete build before we commit (or Push if you are using Git), then we need to keep the build to under Ten Minutes. This can be challenging for some teams who already have longer build times. You are able to do CI with longer builds – but the pattern is to try to reduce your build time in order to shorten feedback time, reduce collisions within a team and avoid build races. Maintaining a fast build is an ongoing discipline of an agile team that requires a team to track the build time. It will require a team to change and refactor the build scripts and test code with the same attention that we give to our production code. In a team that is practicing Collective Code Ownership, everyone in the team is responsible and capable of editing these scripts, the source and test code. In the early computer science days we were taught the mantra of “Save early, Save often”. With the advent of source control this became “Commit Early, Commit Often”. If you have gone a day without a single commit, it’s an indication that you may have gone down the rabbit hole of over complexity and need to roll back your changes and start all over again. It’s not a bad thing when this happens - and it does happen. When this happens, you've learned what didn’t work and in doing so probably worked out how to break the problem down into smaller chunks and which order to tackle them in when you come back to it. "I wonder though, if a team should not be adept with trunk-based development before they move to distributed"
The reason that we stay on trunk is to avoid merge hell. If you must use branches, then try to ensure they are as short lived as possible. Side note - In a highly distributed team this may not possible. But then being highly distributed is already an agile anti-pattern. Side note - If you are considering Git for your source control then consider the Centralized Workflow implementation. This works best with a co-located team working in an open office space. The idea of the build token is that when you are about to kick off a build on your computer (or for a beginner team a dedicated integration computer), you take the build token. This is a physical item that all the team recognize. In most instances I have seen, it is a rubber chicken or other similar frivolous yet fun toy that typically can make a sound when squeezed. Whilst others are able to build without the token, they are unable to commit their code (by team agreement). When a team begins to really practice Merciless Refactoring, then in the scope of any task, you could find yourself in parts of the code that you did not imagine before you began coding. This is not to be discouraged. The knock on effect of this though, is that you are far more likely to be colliding on classes and methods with other team members. When these collisions happen, you want to find out sooner rather than later so the two pairs (assuming that you are practicing the XP practice of Pair Programming) can get together and have an architectural discussion to resolve. This is part of fast feedback and how emergent design works! Consider that we were able to discover an architectural issue within hours (rather than a day) and can quickly resolve it thereby minimizing the disruption to the flow of coding and likelihood of having to roll back changes. Consider also how easy it is for a co-located team to resolve an architectural issue via a quick face to face huddle in front of a white board. This is one reason why XP recommends development team members being collocated. It increases communication and can eliminates time lost because of distance issues. Were you only integrating daily instead of multiple times a day, how does it feel to come in in the morning ready to start a new task after a good days work yesterday, only to find that you need to go back and change the code from yesterday? Integrating 2-4 times a day enables a much finer grained level of Rapid Feedback. I believe the effort/cost of fixing issues increases exponentially over time. The sooner you find and fix it, the cheaper. Another way to avoid collisions, and a pattern to refactor the code when you do have collisions, is to make classes and methods smaller. This is one of the rules of Kent Beck’s "Four Rules of Simple Design" and it's a good OO practice in general. Simple Design is one of the XP core practices. I hope you are starting to see how all the XP practices work together and why you should take them all on as they are supportive of each other. Side Note - If you are doing the XP practice of Test Driven Development (TDD), you will find it naturally encourages smaller classes and methods. See what I mean about the XP practices all working together? CI has been described as a prerequisite to Collective Code Ownership. By integrating often in the day, you will be keeping up to date with all the code changes that are happening by all of the team. You are staying in sync with all the team by continuously reading each others code changes every few hours when you integrate. Once the team has all this down pat, then it is ready for an Automated CI Build Server - such as Jenkins. Again, this requires some learning and should be owned by the entire team now that we have established Collective Code Ownership. You do not need to throw away any of the above practices. Instead you now add to it. I highly recommend that a monitor and speakers be in the development environment so that notice of any build or integration failures found by the CI server are immediately obvious to the team. The teams highest priority is to maintain a green (passing) build. Should the build break, the team should stop everything, have a huddle to determine the cause of the break, identify who will fix and and make that the highest priority for the team. Swarming and/or mob programming is a good practice here. While the build is red (broken), no one is permitted to commit any code (by team agreement). Here is another brief description of an Automated CI process. 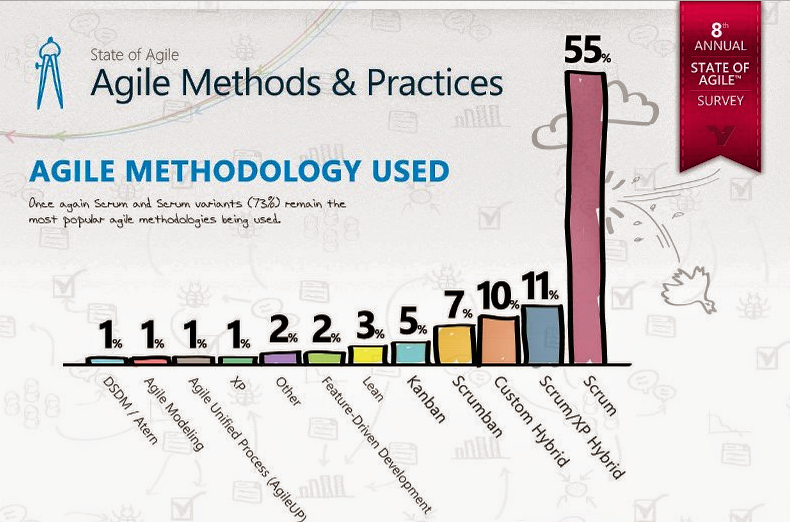 These are whole topics in and of them self and also the latest buzzwords in agile. Core to these practices is the CI server. Some clever folks worked out these automated build machines can do more than just build and test. They can also become gateways, package, deploy, monitors, run broader environment and package testing. And so, Continuous Deployment, Continuous Delivery and DevOps were born. Enough said. I'm not going to go into any further detail on the uses or setup of a CI server such as build triggers, chained builds, breaking out test suites, stress testing, bench marking, testing environments, continuous deployment etc. They are each topics in themselves and take me away from the main topic of this article. I'm hoping that you noticed the interrelationship between CI and all the other XP practices that have been mentioned in this article. The practices/disciplines are designed to work together in this way and work best when ALL of them are practiced. That is why I prefer to keep XP intact rather than breaking it into a smaller subset of the practices and calling them agile development practices or technical practices. Don't mess with Grandma's recipe. If you want CI, then do XP. You should be be committing (and therefore building) your code 3-4 times a day. That is why they call it "Continuous"